Several weeks ago when I was researching for my video on the “Gospel According to Comedians,” I came across the graphic on the cover of today’s bulletin. At the time I thought this graphic would prove useful or provocative to me, but I wasn’t sure for what purpose, so I kept the file on my screen’s desktop. 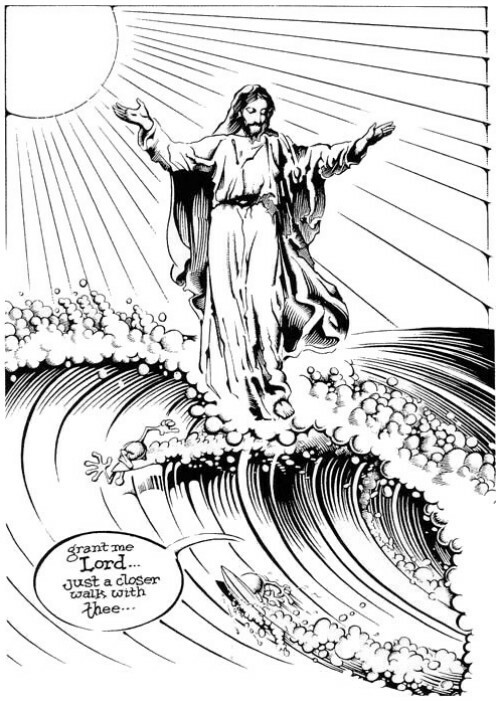 Ever since then the thumbnail image of Jesus surfing the waves hung there on my desktop, begging me to go back to it, to find out more about who created the image and for what reason.